Matt Greene, 40, rocks his daughter Murphy to sleep in his Exeter home. Both Greene's parents had problems with alcohol, but Greene, who's a recovering alcoholic, has never drunk in front of his four kids. What runs in the family for Matt Greene of Exeter isn’t blue eyes or brown hair – it's drinking. His grandparents, his mom and his sister all had problems with alcohol, and his dad died of liver failure at a young age. “They always say alcohol runs in families – but it really sprints in my family,” Greene said while sitting in his kitchen. When Greene was drinking, he lost several jobs, damaged relationships and at times lived out of his car. Unlike the current conversation around opioids, Greene says the dangers of alcohol are rarely talked about. “In our society in our state specifically it’s glorified, it’s a rite of passage, it’s part of adulthood – it’s expected,” he said. New Hampshire is one of 17 states in the country that control liquor sales. 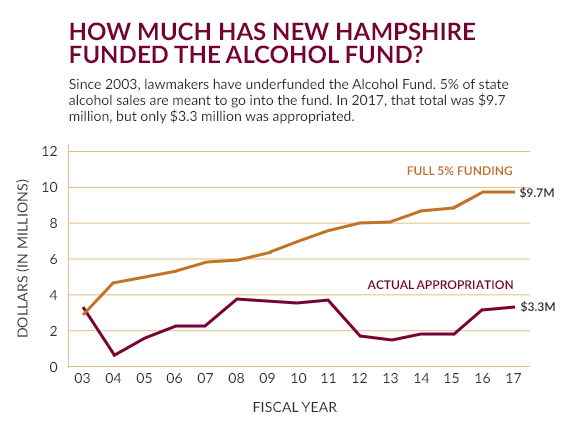 But unlike many of these states, New Hampshire has no sales or income tax, so state-run liquor stores have become quite a lucrative source of revenue. And the state works hard to keep it that way. 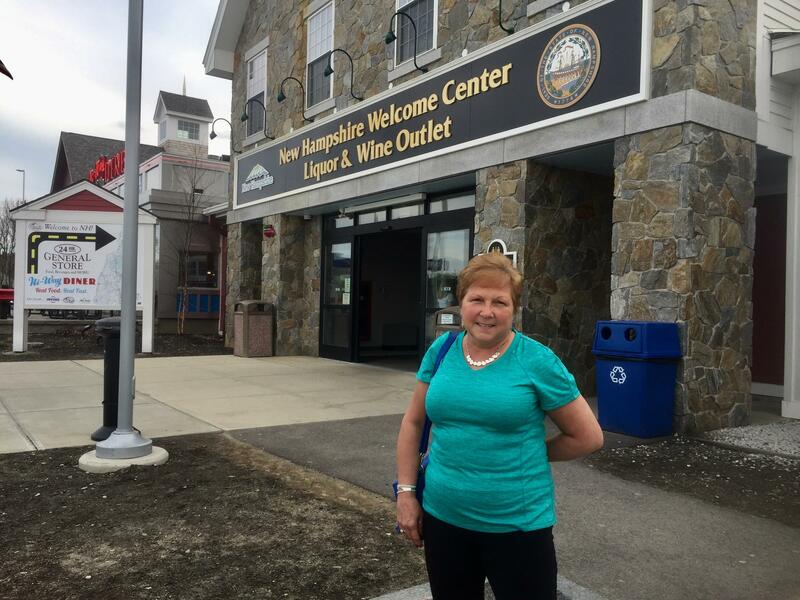 In the past year, seven new liquor stores have opened with two more in the works, many of which are right off the highway, including the Hooksett store on I-93, where Loretta Bresette has come to shop. “I’m from Vermont heading to Massachusetts," Bresette said outside the store. "Is there a reason why you stopped in N.H. for liquor?” NHPR's Paige Sutherland asked. "Because I always do – the prices are much cheaper here," Bresette replied. Loretta Bresette, 61, lives in Vermont but comes to N.H. often to buy liquor because of the low prices. 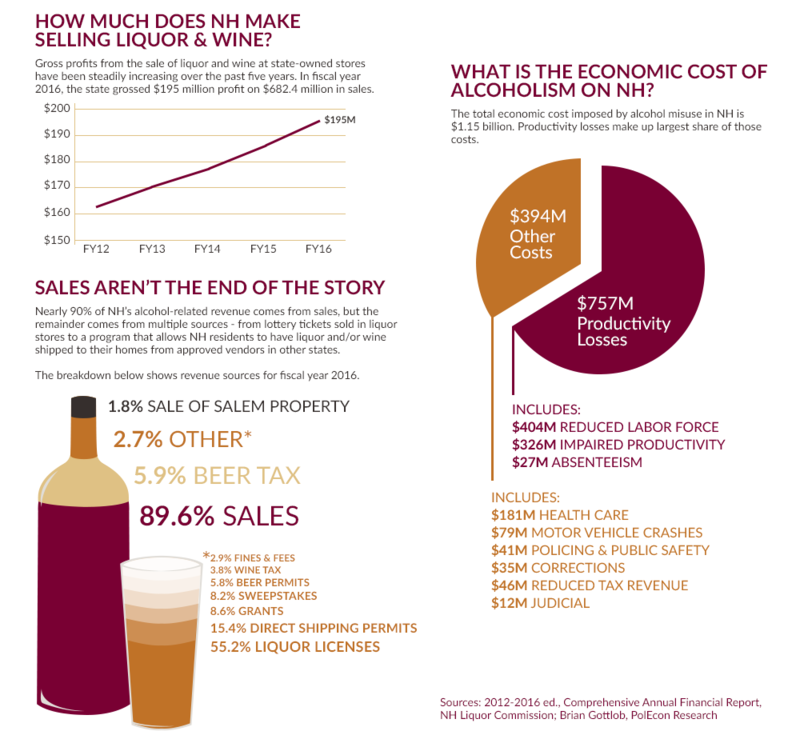 Each year alcohol sales generate millions for the state. In 2000, the legislature created a fund to direct some of that money into treatment and prevention. But most years, the state underfunds it. And last month, lawmakers even tried to get rid of the so-called “Alcohol Fund,” saying the state’s main problem was opioids, not alcohol. But when talking to treatment providers in the state, they say that’s not what they’re seeing. John Iudice helps run an addiction recovery service in Portsmouth. And it’s taking a big toll on the state. From highway accidents, medical costs, family problems to the justice system. These negative impacts rack up a high bill – one the state ends up having to pay. 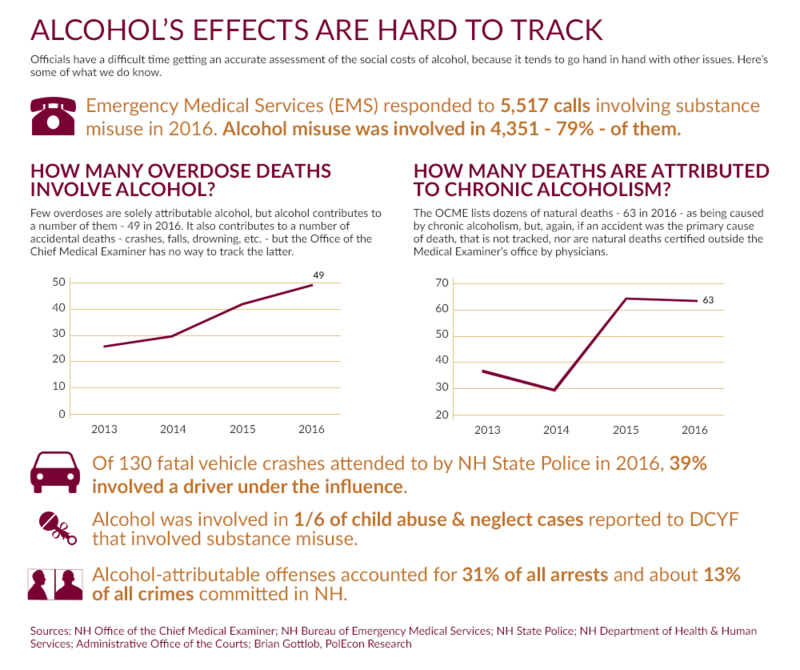 In terms of lost productivity, one study shows alcohol abuse has cost the state six times more in state revenue than drug abuse. Matt Greene is now 40. He’s married, has four kids and is a firefighter on the Seacoast. 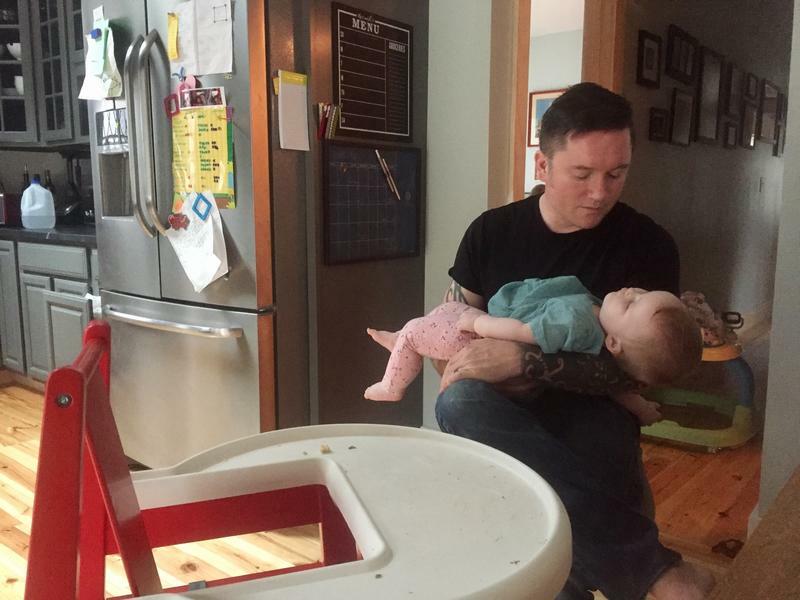 On his days off, he’s in charge of taking care of his 8-month-old daughter Murphy. Greene has found help and has been sober for 18 years. He says he’s worried that with all the recent attention to heroin, people may miss all the dangers of alcohol. 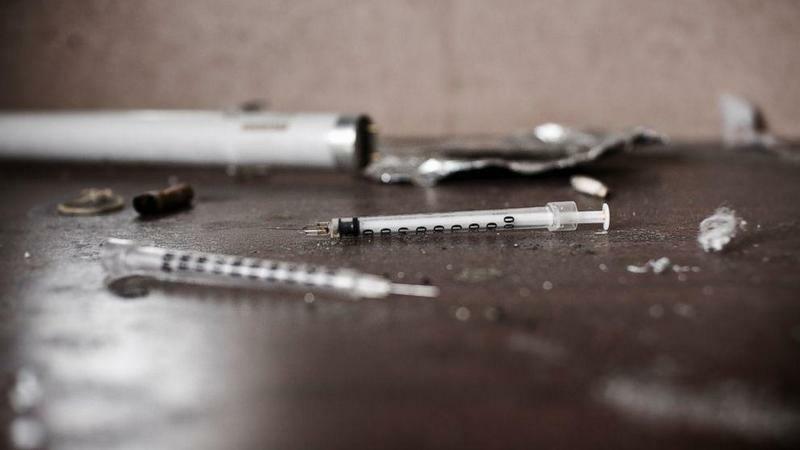 “The amount of damage that an addict does is capped at the moment of death, where as an untreated alcoholic can do damage for decades again and again and again,” he said. Greene is trying to not make the same mistakes as his parents. But he’s worried about his kids growing up in a state that makes millions off alcohol yet does little to address the problems it causes. “We need to talk about substance use disorder like the disease that it is,” health educator Aly McKnight told a captive audience of thirty or so in the basement of Nashua Public Library last month. 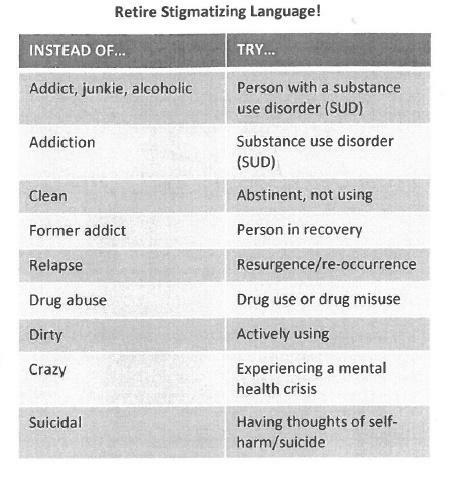 She pointed to a list of “stigmatizing” words projected onto a screen. “Alcoholic,” “junkie,” even “addiction” should be avoided, it said. New Hampshire is getting $3.1 million in federal money to help fight the ongoing opioid crisis.